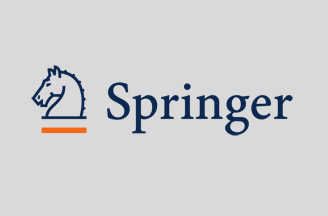 Springer will launch a new journal Clinical and Translational Imaging: Reviews in Nuclear Medicine and Molecular Imaging. The bi-monthly publication will be the official journal of the Italian Association of Nuclear Medicine and Molecular Imaging (AIMN) as of 2013. Targeting nuclear medicine practitioners and other professionals involved in molecular imaging and therapy, this international peer-reviewed journal will publish timely and updated reviews, collected in monothematic issues, on clinical practice and translational research. It will also present clinical applications of approved and experimental radiopharmaceuticals for diagnostic and therapeutic purposes. Advanced preclinical evidence in the fields of physics, dosimetry, radiation biology and radiopharmacy, with relevance to applications in humans, will also be included in the journal. Papers will be selected by an editorial board made up of internationally renowned experts. AIMN (www.aimn.it) promotes the scientific development and application of nuclear medicine and molecular imaging. It is a key point of reference, both scientific and professional, for medical doctors and other specialists in this field.